Welcome back to the TJGT Alumni Spotlight! 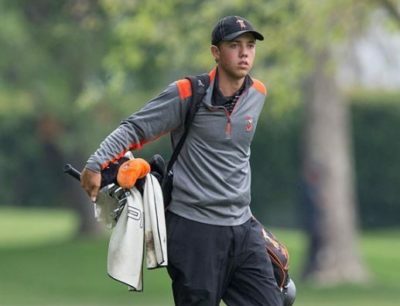 In this week’s spotlight is former collegiate golfer at Oklahoma State University, Brendon Jelley! During Brendon’s time on the TJGT she competed in 7 events. Of those 7 events, Brendon placed within the Top-3 in 100% of his tournaments. He also carded a wins on the TJGT at the Allen Samuels Junior Championship and one of our most prestigious events, the Red River Challenge at Dornick Hills. 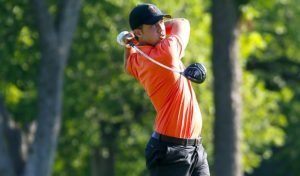 He also carded multiple AJGA wins and was named a Rolex All-American Honorable Mention in 2012. Brendon committed to Oklahoma State University after considering other options at SMU, Texas A&M, Tulsa, Oklahoma, and Arkansas. He redshirted his freshman year in 2013, but things started to pick up after that! He made 12 starts as a cowboy in his first competitive season and was an All-American Big 12 Pick. His sophomore year earned him all-region honors as well as first-team All-Big 12 status and was also names a first-team Academic All-Big 12 selection. He made quite the impact on the OSU Cowboy’s team in his 4 years. Here’s a little more about Brendon!